These are photos taken during our wedding. Illy was wearing white pearls and Ouzo was wearing a white bowtie. They’re both great photos taken by our wedding photographer, Rebecca Douglas. 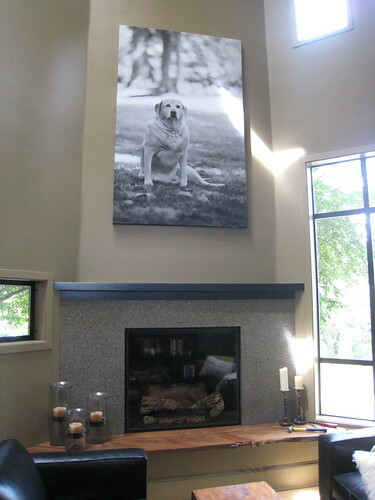 They were put on the biggest walls in the house, walls that were begging for some art. We couldn’t find anything we liked. Gay had the idea to have some of our own photos blown up as art. 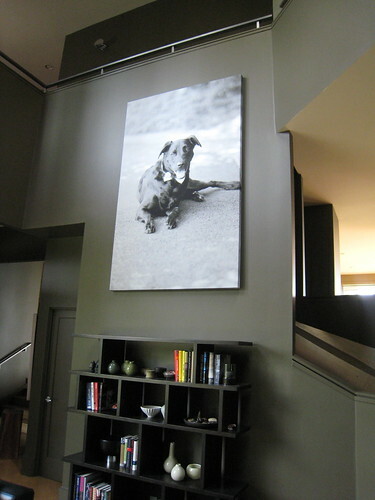 We love our dogs and having photos of our dogs on our walls seems more personal to us than any art we may find.